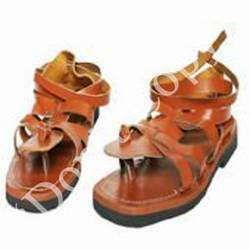 Our leather boots crafted in the form of sandals used in olden days are widely acclaimed in the overseas market. 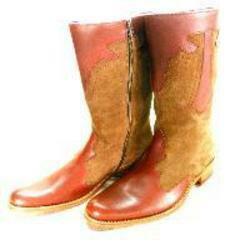 With their wide shapes, these boots covered the entire foot and ankle of soldiers of the past. These are padded and amply support the feet making them comfortable footwear. The eye-catching design of this range is due to the expertise of our workforce.